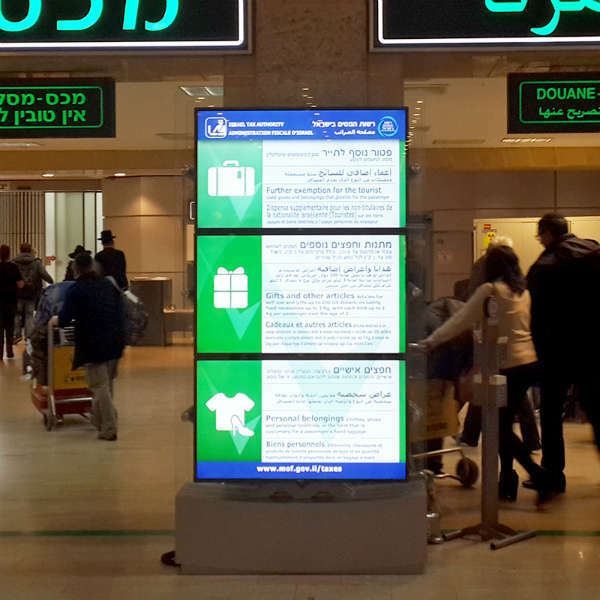 This is the first installation of GAUZY models that have been incorporated in Israel Ben Gurion Airport and represent a step forward when it comes to design and display combining digital advertising panels. 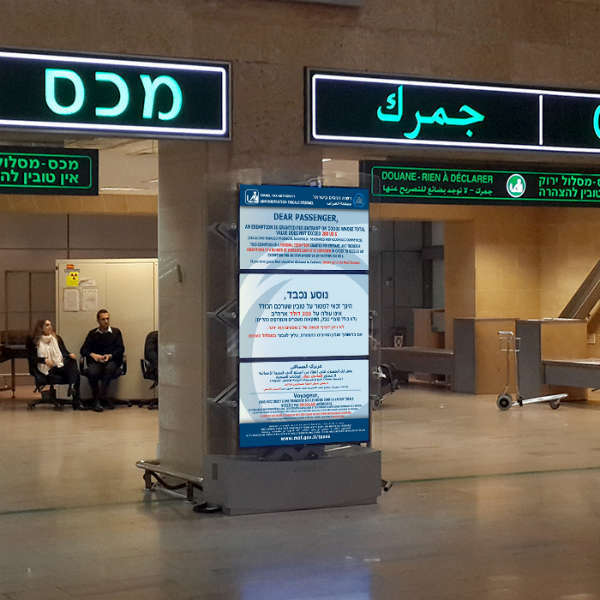 The unique positions of the posters include three LFD screens that are synchronized. This is a unique design and columns that have been adapted to the needs of routine customs. The content is displayed at screen resolution of 3240 pixels of cumulative height * 1920 pixels in width in sync.